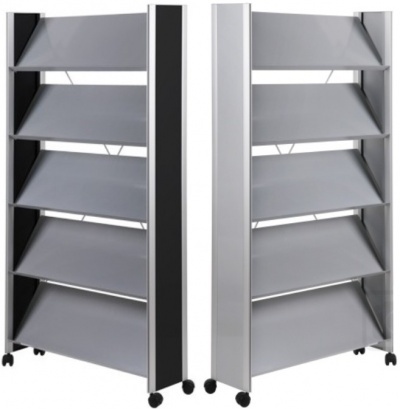 The BRF Mobile Literature / Brochure display stand is single sided with 5 powder coated metal shelves. Available in 3 different widths to display either 10, 15 or 20 A4 brochures face on. 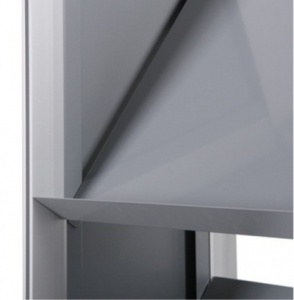 With silver anodised aluminium rails the side panels come in a choice of silver or black painted panels. 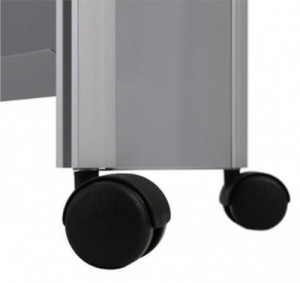 The BRF comes with castor feet to aid mobility. 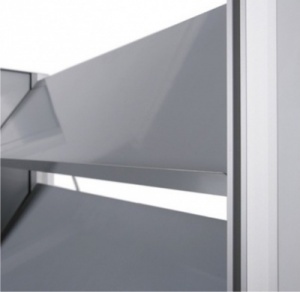 All Units Supplied Individually Boxed for Self Assembly on Delivery.